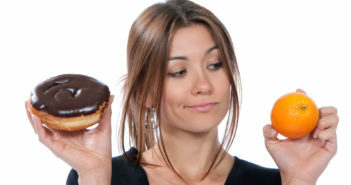 You are at:Home»Weight Loss»Diet Pills»Is Garcinia Cambogia the Holy Grail of Weight Loss? Obesity has become a real health problem across the world. There are millions of people who are affected by this condition and there are millions more who are on the verge of being obese. As a result, people are constantly on the lookout for products that can serve as the ultimate weight loss potion. The problem with this is that most products on the market that are advertised as effective weight loss consumables are nothing more than a waste of time and money. Does Garcinia Cambogia fall into that category? Well, read on to find out more about this much talked about supplement. Before we shed light on how the supplement can or cannot help you, it is important to mention a few significant details about the fruit itself. This fruit is originally from Indonesia, but is now cultivated in a number of regions around the globe including Southeast Asia, India, Central and West Africa. The fruit is often referred to as “tamarind” and is quite small in size. In terms of appearance, it can be compared to a mini pumpkin. What a lot of people don’t know about Garcinia Cambogia is that this fruit was used for medicinal purposes as well as for cooking way before anyone had discovered its potential to help people lose weight. In Asia, people use Garcinia Cambogia in their cooking as they believe that it has the power to cure stomach relief. Besides that, the fruit makes a fantastic cooking ingredient. This is because it has a robust flavor that accentuates the taste of curries and chutneys. Some people think that adding the ingredient to any recipe can make the dish feel more filling. This gives you a small idea of why people use Garcinia Cambogia for weight loss. If you are feeling full after a few bites of a tamarind infused dish, you are less likely to stuff more food inside your tummy. In other words, people were aware of its ability to curb one’s appetite long before anyone had labeled it as a weight loss ingredient. It was during the late 60s that researchers were able to confirm the presence of HCA (hydroxycitric acid) in Garcinia Cambogia. This substance is known to possess a number of potent qualities that you would expect in a highly effective supplement. Research has proven that HCA prevents the conversion of sugar into fat. There is also scientific ground to believe that this chemical compound can enhance endurance. Furthermore, researchers are positive that an increased intake of HCA can actually lead to a spike in the serotonin levels of your body. Not to mention, HCA plays an active role in lowering the intensity of your appetite which means that you will feel a lot less hungry if there is a sufficient amount of HCA in your body. There is no denying the fact that Garcinia Cambogia weight loss supplements are among the most popular supplements in the global market. 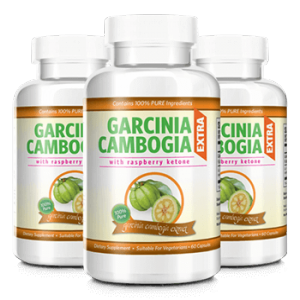 The general perception regarding Garcinia Cambogia is that it is a supplement that contains not one, but a number of weight loss components, which makes it an effective product for weight reduction. It is important to go through the list of ingredients contained within Garcinia Cambogia since all the consumption of all supplements involves risk to a certain degree. HCA is the primary ingredient in every Garcinia supplement that you can find in the market. Nearly 50 to 60% of the product is made up of this compound. As mentioned before, HCA has powerful weight loss properties and is responsible for stopping the conversion of sugar and carbohydrates into fat. The potassium in Garcinia supplements is useful because it speeds up the conversion of food into energy, thereby boosting metabolism and aiding muscle development. That being said, not every Garcinia Cambogia supplement contains potassium. The chromium in Garcinia supplements functions as a weight loss gate keeper as it enhances insulin action in the body. The calcium in Garcinia supplements may not have a function as noteworthy as the other ingredients. However, it is important to remember that calcium deficiency can lead to an abrupt and unexpected weight gain. Therefore, you could use this supplement to make sure that the calcium level in your body has not dropped below par. 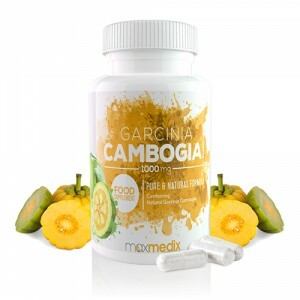 Some Garcinia Cambogia products in the market contain undesirable ingredients. Artificial binders and added sugars are examples of three ingredients that should be avoided. None of these ingredients contribute to weight reduction. Hence they are unsuitable to be used in a weight loss supplement. Everybody wants to know the answer to this question. After all, there has been plenty of debate about the effectiveness of this product as a weight loss supplement. As is the case with most weight reduction products out there, Garcinia Cambogia has had its fair share of skeptics. 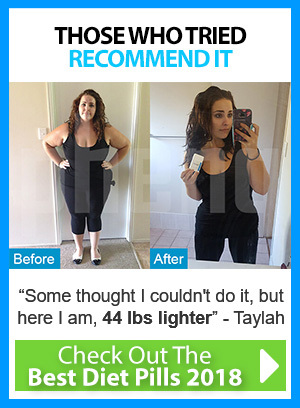 On the flipside of the coin, some have labeled the product as the “holy grail of weight loss”. Surely, there has to be some middle ground, right? Fortunately, there is. 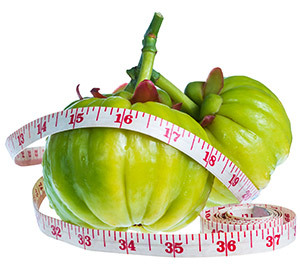 It is true that Garcinia Cambogia does an impressive job of reducing weight. It may not lead to guaranteed weight loss for everybody in the world and it may not help everyone fight obesity. However, it is one of the most exciting natural weight loss products to date and may even be the best weight reduction solution for millions of people across the world according to Dr. Oz. What is more is that it is clinically tested and is safe to use. 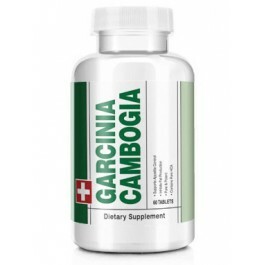 Why Is Garcinia Cambogia Effective? It is completely natural for the body to convert the sugar and the carbohydrates into fat. However, this natural process is not a good thing for people who have a serious weight gain problem in their hands. Garnicia Cambogia inhibits this process and works against fat production in the body. To a certain extent, it can stop the body accumulating further fat. Additionally, the natural ingredients contained within the Garcinia extract are particularly useful in initiating the process of fat burning. This improves the rate of metabolism in the body and allows it to function more efficiently. As the fat breaks down, your body gets to burn more calories. Moreover, there are ingredients in Garcinia supplements that are known to reduce your appetite. If you are not eating as much as before, you definitely stand a better chance of losing weight. The reason why it would be inappropriate to identify Garcinia Cambogia as the holy grail of weight loss is because it is not a perfect supplement by any means. Even though the product is considered to be generally very safe, there are certain potential side effects that you need to be aware of to make sure that you don’t end up having a bad experience with the supplement. Garnicia Cambogia is safe for most people, but there are certain groups of consumers who need to be careful about using this product. For instance, women who are pregnant or are likely to be pregnant in the near future or are currently breastfeeding are advised to avoid the use of Garcinia Cambogia. It is also worth noting that there isn’t sufficient information (due to a lack of research) on the side effects of Garcinia Cambogia. The additive ingredients accompanying the main ones can lead to conditions such as headaches, nausea and mild digestive disorders. This makes it imperative for consumers to choose the right brand when buying Garcinia Cambogia supplements. Given the hype surrounding Garcinia Cambogia, it is no surprise that a number of “tamarind extract” weight loss supplements have invaded the market in recent years. Sorting out the best product from this huge variety of items can be quite a difficult task. This is hands down the best Garcinia Cambogia supplement currently available in the market. What makes it superior to other brands is its 1000mg dosage per serving (of which 60% is HCA). You would also be impressed to know that this is the fastest selling fast burner in the market and one that contains a raspberry ketone for even extra weight loss power. You can visit the official Garcinia Extra website and read through the many testimonials. Based on customer reviews, it seems as though this product is as good as it gets when it comes to Garcinia supplements. At the moment, a single bottle of Garcinia Extra costs £34.95 / $49.95. Also you can get yourself some nice savings by opting for their multi-buys. The brand offers free shipping worldwide, so no matter where you live, the product will get to you with no added costs. On top of that, they also offer a 60 day money back guarantee if you aren’t happy with the results. This product from Bauer is advertised as a unique all-in-one weight loss solution. In addition to helping you lose weight naturally, it will enhance your mood by stimulating the production of “happy chemicals”. Moreover it will help you to reduce appetite and prevent you from snacking between meals. Also will increase your energy levels and provide all of these positive results within a week. Similar to Garcinia Extra, this product’s formula is fortified with raspberry ketones. It retails at the same price as Garcinia Extra i.e. £34.95. 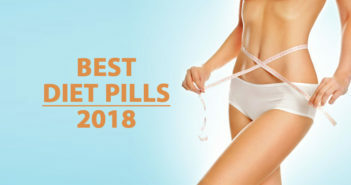 The reason why Bauer Garcinia Cambogia finds itself in the second spot is because it does not have as many testimonials on its website to back up its supposed quality or success. This is definitely one of the most effective Garcinia products out there with 60% HCA content. The formula contains pineapple and ginger extracts. The ginger regulates the digestion and enhances the production of digestive juices. The pineapple on the other hand helps to further enhance the process of metabolism. The product comes with a 90-day guarantee. Probably this is the reason why it has a number of testimonials that you can go through on its website. 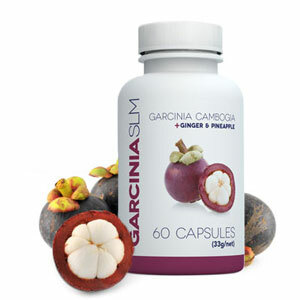 You can avail Garcinia SLM for a price of £29. What really stands out about this product is its formula. In addition to containing the “superfood” Garcinia, the product makes use of active ingredients such as green tea, cayenne and guarana. 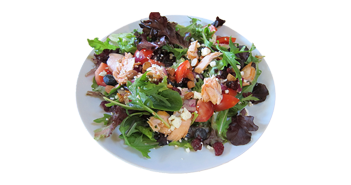 These all play a pivotal role in allowing the product to help you lose weight. It contains caffeine as well, which gives users an energy boost and lets them improve their concentration level. The current retail price is £29.99. This is the most affordable product in the list at £24.95 and has a pure formula. In other words, there are no additives in the list of ingredients. Despite its purity, the lack of additional benefits in the formula makes it a slightly inferior product compared to those occupying the third and fourth spots in the list. Nevertheless, it is still an excellent supplement and is perfect for those who are looking for nothing other than pure, uncontaminated and unadulterated Garcinia Cambogia.